Hanoi (VNA) - Software and legal documents on cybercrime prevention will soon be launched in Vietnam. As part of a project on increasing prevention of cybercrime until 2030, a censorship system including software that identifies, blocks, collects and processes misleading information on the internet will soon be launched in the country. Software that prevents personal computers from accessing websites containing misleading information, and an investigation system that analyses methods used by cyber criminals to conduct cybercrime, will also be developed. The project was recently approved by the Ministry of Information and Communications (MIC). It aims at achieving the goals outlined in a national strategy on cybercrime prevention in the 2016-25 period, with a vision to 2030. As part of the project, MIC will collaborate with other ministries and sectors to develop communication plans and messages on mass media, at schools and in families to raise awareness on cybercrime prevention, especially teaching young people to filter out inappropriate information online. 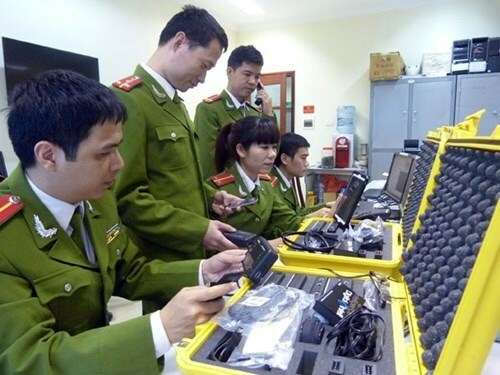 A system of legal documents on cybercrime prevention will be developed, which includes stricter measures against cybercrime, policies on online information management, and preferential policies that encourage the development of online services by Vietnamese IT enterprises. The project will also help strengthen the ability of information technology (IT) inspectors and investigators on fighting against cybercrime. It also aims to identify, investigate and handle 100 percent of cases that perpetuate misleading information, as well as strengthening international and transnational collaboration on online information management. A board of directors will be formed to direct and oversee the implementation of the project, with a MIC Deputy Minister as chairman and leaders of concerned authorities as board members.